Living the Dream Tour extends! 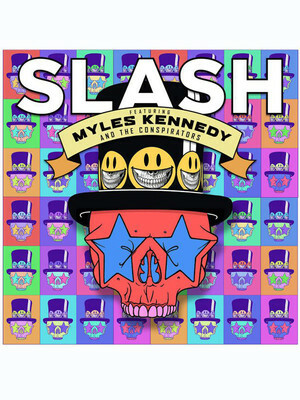 Slash will be returning to the road in 2019 in further support of Living the Dream, his new collaborative record with Myles Kennedy and the Conspirators. It's the follow up to their 2014 record World On Fire, an indulgent, solo-laden odyssey that showcased Slash at the peak of his axeman powers. One of the most famous figures in American rock history, Slash made his name as the lead guitarist of the controversy-baiting, world-conquering Guns N' Roses, supplying the classic riffs to Sweet Child O' Mine, November Rain, Paradise City, and many more. His various other projects have included Velvet Revolver and Slash's Snakepit, as well as a string of bestselling solo records. Seen Slash? Loved it? Hated it? Help your fellow Calgary Theatre visitors by leaving the first review! Sound good to you? 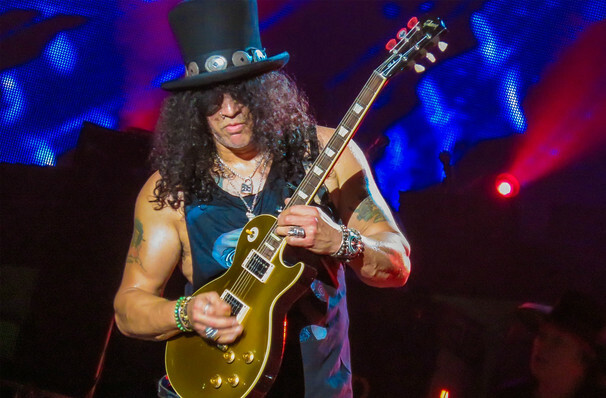 Share this page on social media and let your friends know about Slash at Grey Eagle Resort & Casino. Please note: All prices are listed in US Dollars (USD). The term Grey Eagle Resort & Casino and/or Slash as well as all associated graphics, logos, and/or other trademarks, tradenames or copyrights are the property of the Grey Eagle Resort & Casino and/or Slash and are used herein for factual descriptive purposes only. We are in no way associated with or authorized by the Grey Eagle Resort & Casino and/or Slash and neither that entity nor any of its affiliates have licensed or endorsed us to sell tickets, goods and or services in conjunction with their events.